Our spectacular season opens with Les Ballets Trockadero de Monte Carlo (or “The Trocks”) playing 2-3 October ‘18. 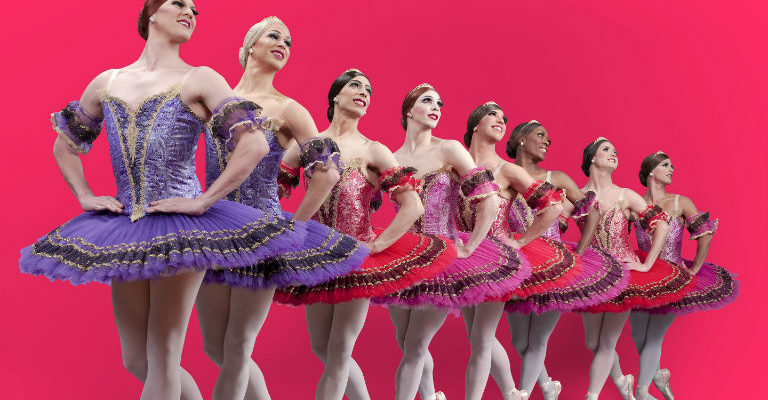 Loved world-wide for their sassy spoofs and hilarious homages to classical ballet, the company features 18 super-athletic male dancers who make every performance froth frivolously with a unique concoction of tutus and testosterone. With their immaculate technique, daring physicality, and impeccable comic timing the Trocks create a show unlike any other. From tutus of one kind to another as in October dance fans will delight in the return of the acclaimed Northern Ballet with its multi-award winning production The Three Musketeers (17-20 Oct ‘18). As audiences are transported to 17th century Paris, they will witness the classic tale unfold in a whirlwind of adventure, romance and intrigue, accompanied by Sir Malcolm Arnold’s sweeping score played live. This dazzling production, nominated for Best New Dance Production at the Olivier Awards 2008 and Winner of the Best Dance award at the M.E.N Theatre Awards 2007, does Dumas’ rip-roaring adventure proud. Opera North are incorporating a dance number into their double bill The Rite of Spring / Gianni Schicchi (16 March ’19) next year, pairing Stravinsky’s revolutionary pagan ritual ballet (a collaboration with Phoenix Dance Theatre) with Puccini’s comic masterpiece in which scheming relatives squabble over an inheritance. The Opera North season in March ’19 offers a rich programme indeed, also featuring Mozart’s enchanting coming-of-age opera The Magic Flute (12-15 March ‘19) and Janacek’s deeply tragic but wildly beautiful Katya Kabanova (14 March ‘19). A little closer to hand though is the famed Opera company’s exhilarating Autumn 2018 season featuring high octane thriller Tosca by Puccini (23,25,27 Oct ‘18) – an intense story of lust and love, of cruelty and self sacrifice accompanied by some of opera’s best-loved, most recognisable music. To counteract the intensity of Tosca comes Lehar’s greatest hit, the joyous The Merry Widow (24 & 26 Oct ‘18) telling the story of young, beautiful and stupendously wealthy widow Hanna in her search for a new husband. Parisian sensuality meets Viennese sophistication in a night of glorious music and dazzling choreography. Macbeth, renowned as an unlucky show and so, for the superstitious, only ever referred to as “the Scottish play”, famously visited the Theatre Royal in November 1899, and played on the night the theatre was gutted by fire – 23 November 1899. One hundred and nineteen years later, almost to the day, this devastatingly good Shakespeare tragedy returns in a brand new production from creators of War Horse and The Curious Incident of the Dog in the Night-Time, The National Theatre. Visiting 13 – 17 Nov ’18, fresh from a sold out run in London, this epic and visually daring production propels Shakespeare’s classic title into a postapocalyptic world of anarchy and uncertainty. When shall we three meet again…..? From classic thriller to modern whodunit, March ’19 sees a visit from the chilling new stage play by no.1 best-selling author Peter James The House on Cold Hill (18-23 March ’19). Following the overwhelming, sell out stage success of Not Dead Enough, The Perfect Murder and Dead Simple, which have all recently proved huge hits with Theatre Royal audiences, The House on Cold Hill is a modern day ghostly thriller that will send shivers down the spine. From new comedy to classic, as October brings a glorious show which pays homage to icons of British comedy Morecambe and Wise in An Evening with Eric and Ern on Sun 14 Oct 2018. 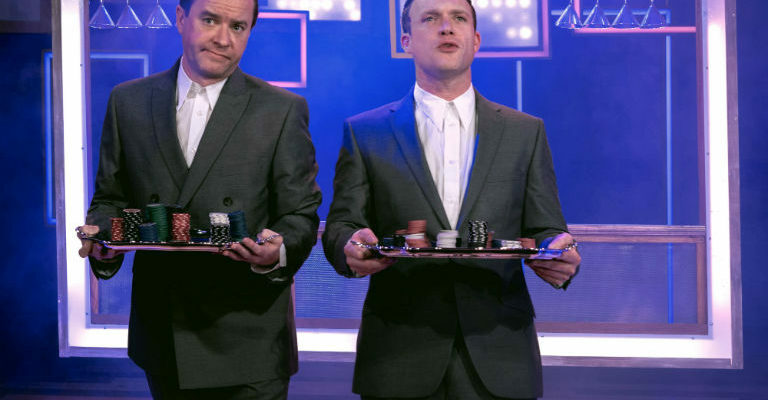 Olivier Award-nominated duo Jonty Stephens and Ian Ashpitel star in a show full of those famous comedy sketches, most loved routines, songs… and of course a musical guest! The final entry for the new season is an all-round family favourite, the musical extravaganza of Leslie Bricusse’s Doctor Dolittle (12-23 Feb ’19). Based on the popular 1967 film and from the producers of Chitty Chitty Bang Bang, the show is a delightful animal adventure featuring stunning visual puppetry. Audiences can join the eccentric Doctor and his exotic menagerie of friends on an exciting journey to find the Giant Pink Sea Snail, which holds the secret to life and making the world a happier place! Other highlights for the season (currently on sale) include Andrew Lloyd Webber and Tim Rice’s hit show Evita (22-26 May), landmark new show Dusty the Musical (17-21 July), Gary Barlow and Tim Firth’s award winning musical comedy Calendar Girls the Musical (18-29 Sep), gripping new stage show Sherlock Holmes – The Final Curtain (8-12 May) and for little ones the new live stage show from the YouTube sensation Little Baby Bum (10-11 July) and the return of everyone’s favourite piggy in Peppa Pig’s Adventure (22-23 Aug). Not forgetting that nearly 25,000 tickets have already been sold for this year’s rip-roaring pantomime spectacular Goldilocks and the Three Bears 27 Nov ’18 – 20 Jan ’19 – an essential date for everyone’s calendar! Tickets for all new shows in the Summer / Autumn ‘18 season @ Theatre Royal can book now! Tickets can be purchased online at www.theatreroyal.co.uk or from the Theatre Royal Box Office on 08448 11 21 21 (Calls cost 7p per minute plus your phone company’s access charge). Not only can Friends book before everyone else, but they also receive discounted tickets as well as other benefits – visit www.theatreroyal.co.uk/support/become-a-friend for more information.